Good and firm instructor. Suitable for intermediate level. Very neat and simple studio. Very attentive instructor. Session is fun, instructive and challenging at the right pace. Monica is such a wonderful instructor. She really did go through in details for each pose that we learned and practice. I'm going to go again ! reconmendation: bring your own yoga mat. same row with Artisan Roast Coffee, look for the sign Inner Glow Yoga instead. Full on Saturday but it was nice. Seems like a traditional indian-styled yoga suitable for beginners. Awesome flow session with Stacey. Moment I stepped in to this yoga place, it set me straight into a yoga practice mindset, minimalist decor , good soothing lighting and lots of space. Instructor was super attentive, corrected each and every of our posture. Ended the session knowing that I’ll have a good knock out sleep tonight. Parking is tough but Grab or uber lor ? Hatha Yoga class. Quite traditional with pranayama (breathing exercises), Sun salutations and random asanas (postures). A class of 8. Just right. The instructor was good. I didn't get to go as I was not feeling well. Fantastic instructor who assists people all the time and gives clear instructions. She always concerns on whether our postures are hurting ourselves. It was an eye opening experience. No receptionist, which is fine. But Might need a sign that say for people should wait until the door will be opened. Plenty of parking nearby for the evening class. There's a cute dog on the vicinity. Classroom kind of smell like dogs too. The teacher arranged for custom poses for me to do because of lower back pains I was experiencing. Very personalised experience. great class! instructor was guide me personally so I'm engaging the correct muscles. recommended! i appreciate that the instructor paid close attention to how my body responded to particular poses. hanim was excellent. broke down the poses so well, made us hold each pose for a good 7 breaths and we broke a whole bucket of sweat each. amazing traditional yoga! Great start to the day - excellent for beginners! Astangha yoga - good class! Claire was good corrected my posture and poses. Feedback, pls lock the gate I don't want to worry about being robbed or injured by robbers. Windows should be opened wider. joined the core, alignment, vinyasa level 1 class on weekday. only 2 of us there. instructor was patient and explained each pose clearly. she corrected our posture as well. we also got a taste of some more advanced moves. parking may be hard to find on a weekday night. Instructor was very attentive to each individual. She was very helpful to beginners too, and was able to identify if our postures were incorrect. Unfortunately class was cancelled, but usually a great studio! Monika is a really good instructor. If you're a beginner and want to learn techniques on doing the poses right, you should come for her classes. If there was any partner I'd sign up for, it'll definitely be Samkkya. Good as always. Easy parking. Great morning Hatha Yoga session on Sunday morning for beginners like me. Hanim is very detailed and focuses on technique and ensures our poses are accurate. The instructor gave excellent and challenging instruction. No wonder why the class was PACKED! 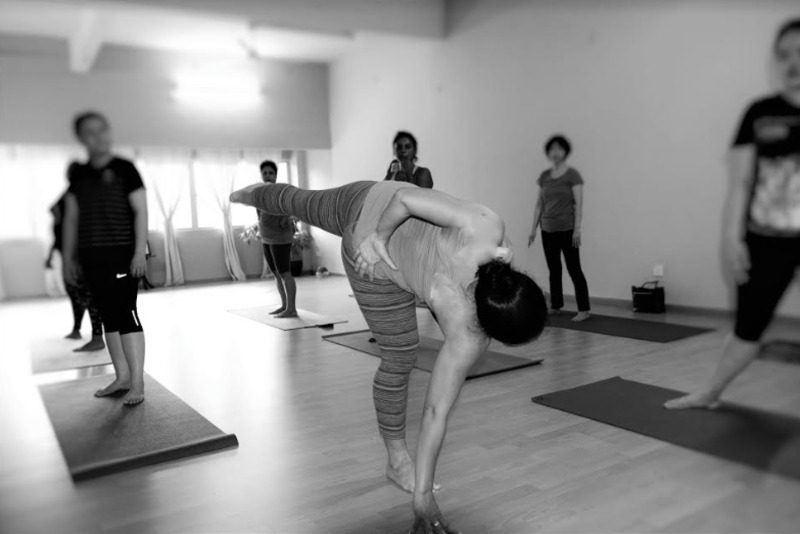 Ashtanga level 1- Valerie is a extremely natural teacher and she has the most soothing voice . Very clear explanations by Monica on how to get into the poses. As many of us were of different levels, it was great that she managed to make the class do-able for all. very good and patient instructor. I loved that our teacher was so supportive! Yet I still feel challenged! Looking forward for more. I've been for both the asana class and the vinyasah class. 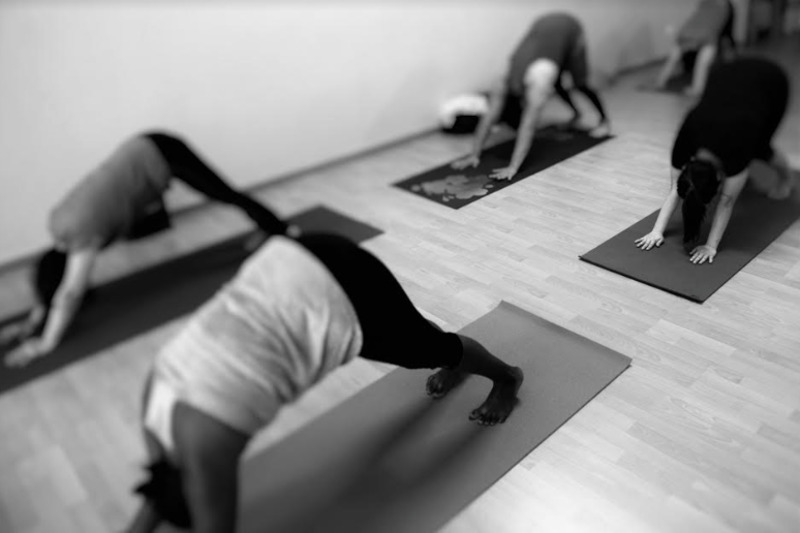 Go for the vinyasah class if you want a bit more of a challenge! Yvonne who is a replacement instructor is great. Monika's class as good as always. Always awesome. Best place to practice in pj! I can’t describe the place in writing, but you have to go over and check out this studio. The environment is minimalist but very conducive for yoga. Monika's alignment & vinyasa is awesome! I enjoyed the morning Hatha Yoga session, which was quite popular. It was also very convenient with plenty of parking spots and breakfast options nearby. Another enjoyable class by Monika! Monika is the #2 on my yoga list. She starts off explaining to us about what is impermanence and permanent. Although there were 8 of us and a mix of yoga experience she gave us clear instructions and did not isolate any of us. Monika gave clear instructions. The poses were as they were meant to do: align your spine & body. Excellent start to resuming yoga! Check out the place. Love the vibrant ambience. Just few of us. Very well taken care of. Good class. she makes her rounds even with a big class. windows prefer to open wider for better ventilation. Very helpful instructor Monika. Minimum pressure in getting into perfect pose but also effective. Uses yoga blocks, blanket and strap. Makes you feel connected and aware of your body. Cosy no frills place. Monika really thought the basics today, something we tend to forget. Flow class - Relaxing. Good for beginners. Great stretch. Feel relaxed and calm after class. The flow class is easy to follow at your own pace guided by a wonderful, experienced teacher. stretched and energized. Instructor goes step by step, good flow. Suitable for beginners. Need not bring your own kit - mats, blankets, straps & blocks, are all provided and in very good condition. As it is located on a busy road (especially on a Saturday morning) the traffic noise from outside the studio could be a tad distracting. Great instructor. Would highly recommend to all Kfitters doing yoga. I enjoyed the class. The instructor was patient and caring. She helped and guide me through to cope with my back problem. I definitely want to be back for more classes. 13 pax in the class and Hanim makes her rounds to correct our posses. Good class as always. Hatha yoga 8am class was okay. The place is a little noisy, and occasionally can smell cigarette smoke from people downstairs. But the class was good. The teacher pushed us further than our comfort, which was great. the windows should be shut during the evening to avoid the cigarette smell from the pubs downstairs. Always a great class at Samkkya! It was an excellent first class, totally coming back for more! Enjoyed the real basics of yoga practice by Monika! The instructor, Valarie is very good. guiding us properly and giving useful tips and infos on the asanas. Hanim comes round to correct postures. Love it. Instructor went all around to correct our postures and help deepening our stretches ! great ! Monika came around often to correct postures. Good! Awesome class with Hanim! Took the time to explain how postures should be done better. It was only me so I've had a private class. nice!! Good class by Monika. Thanks for helping me on the shoulder stand. some students reluctant to pair up that makes the last 20mins rather pointless. other than that a good class by Monika. Great class, clean studio. A bit hard to find parking around tho. I always feel energised and relax after Monika's class. 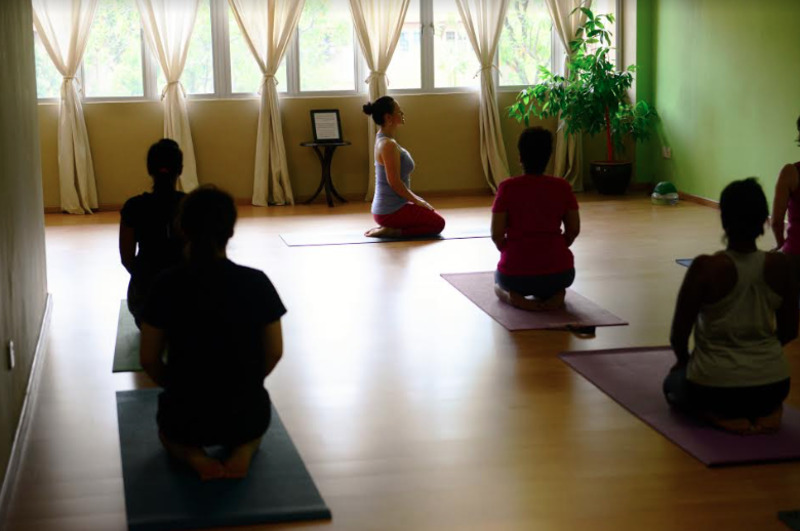 Yoga Hive is a yoga studio located in TTDI, offering classical and contemporary styles of yoga. They believe that the path to health and wellness lies in establishing oneself in a state of yoga: to know and understand your own body, mind, and heart, and integrating the three to desire and work towards the same goal. 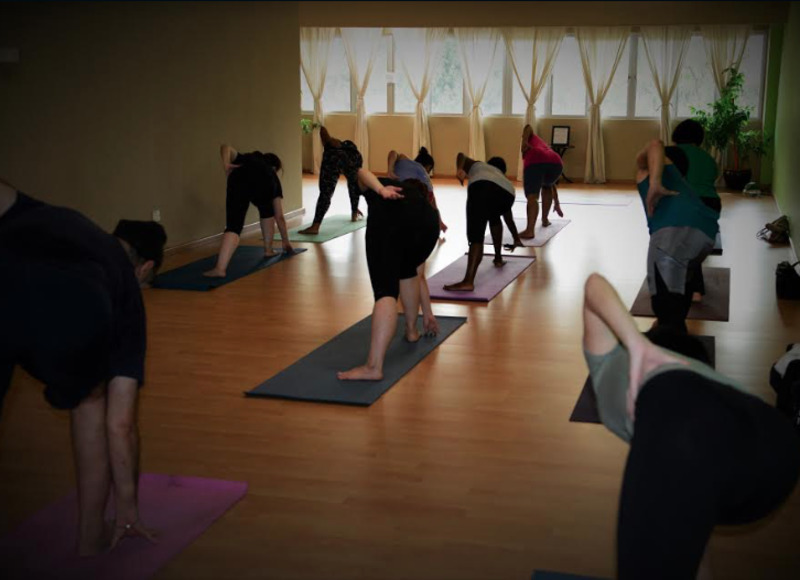 Yoga Hive houses certified and qualified instructors, and will provide you with the experience of Yoga at its most traditional authentic form. Classes are offered to students of all skill levels, beginners and advanced alike.